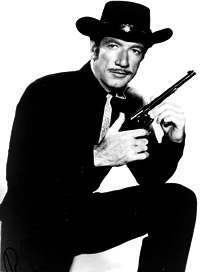 Paladin (Richard Boone) is a West Point educated gentleman with a taste for fine wines and foods. Based at the Hotel Carlton in San Francisco, he was a man for hire. Paladin would do anything for those in serious need. 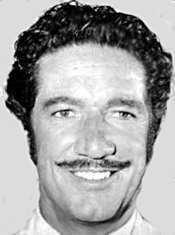 He read the newspapers from across the country and sometimes sent his calling card to those he felt might use his services as gunfighter, bodyguard or anything else that his skills could accomodate. His fee to those who could pay was $1,000. While at the hotel, he dressed the dandy. But for work, he was a man in black. 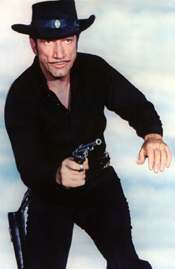 He carried a Colt .45 revolver in a holster with a white knight (the Paladin) on it and a small derringer under his gunbelt. Kam Tong, who usually delivered the message from a potential client, was replaced by Lisa Lu as Hey Girl for one season (’60-’61) because Tong had a more substantial role in the show The Garland Touch. He returned to HGWT when Garland failed. 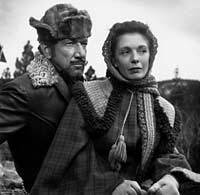 Richard Boone exercised a lot of creative control on this show and his judgements paid off. HGWT ranked in the Top 4 shows for four years running – and for three of them, it placed #3 behind Wagon Train and Gunsmoke. Gene Rodenberry polished his writing skills on this show! 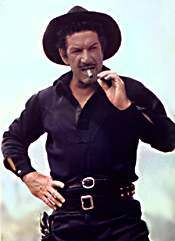 Richard Boone died in 1981 of throat cancer. TV Guide’s Have Gun Will Travel Page, with TV Listings, Photos, Videos, Exclusive News and More. They didn’t make ’em smarter than this, pardner. 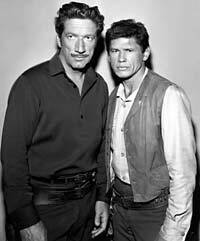 Have Gun Will Travel was a thinking person’s TV Western. 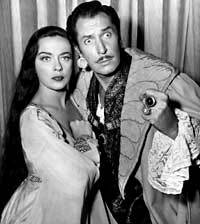 It was the first Western to be released as a complete season and for good reason. 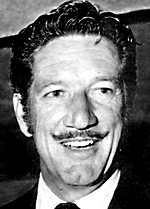 Richard Boone played sophisticated Palladin, who lived in the Hotel Carlton in San Francisco. He could be hired to solve problems, which he preferred to do with his head and not his gun. 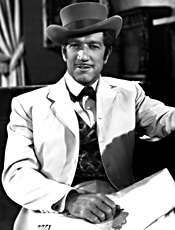 He was the only cowboy in TV Westerns who routinely quoted Shakepeare. This year the show had reached its stride and even increased the pace a bit. In this second season, some of the best episodes were penned by Gene Roddenberry, who would go on to create Star Trek. 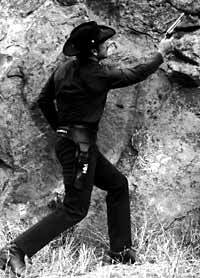 It is on Have Gun that he perfected his craft in such stories as “The Monster of Moon Ridge.” While the tight direction was usually provided by Andrew V. McLaglen, this season marked the first time a woman directed a TV Western. Ida Lupino broke that ground with “The Man Who Lost” starring Jack Elam. You won’t see much of Hey, Boy this year, and I kinda missed him. 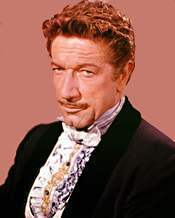 Noteworthy guest stars are Lon Chaney Jr., Charles Bronson, Harry Morgan, Madlyn Rhue, James Drury, Harry Carey Jr., Suzanne Pleshette, Morey Amsterdam, Vincent Price, and Edward Platt. The includes 6 discs which are generously in their own individual plastic cases. The set contain all 39 episodes and for each one, there is a bit of detailed trivia included. It’s difficult to get expert commentary for these old shows since most of the main players are dead, so the behind-the-scenes text is nice to have. Most of the episodes look good especially to those of us used to looking at old VHS tapes or worse, reruns on TV. A few look like maybe the masters had aged too much, but in the main, I am grateful for season 2 and await season 3.